Colonial Beach welcomes a second LOVEwork landmark! Unveiling ceremony Friday, September 4th, 2015 at 2:00 p.m.
You may have seen other LOVEwork landmark sculptures around the state, there are about 50. 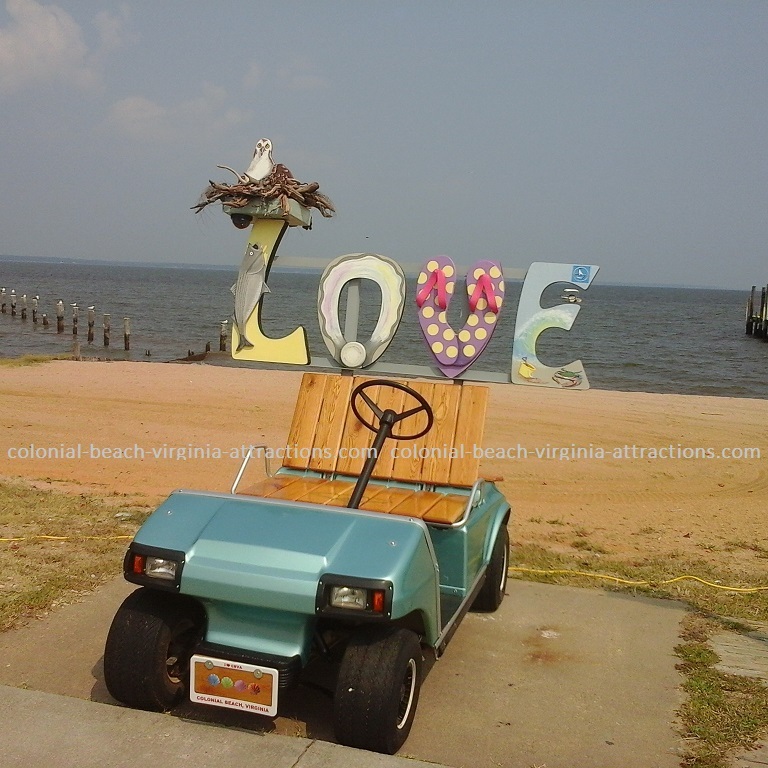 It's a program initiated by Virginia.org to promote tourism and show that "love is at the heart of every Virginia vacation"
Colonial Beach will now be added to the list (and map) of localities containing one of these artworks. 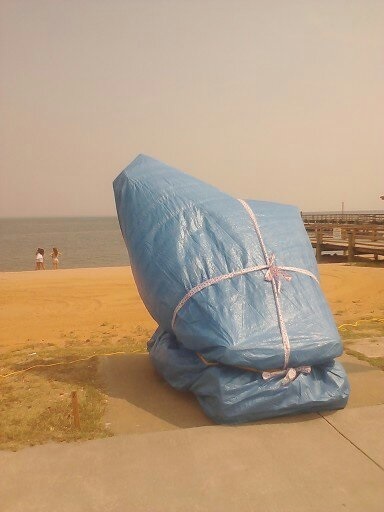 You'll be able to find it on the Boardwalk at the corner of Hawthorn Street and Beach Terrace, near the entrance to the Municipal Pier. The idea for developing the art piece was born at a meeting of the Colonial Beach Foundation in December, 2014. Secretary Katrina Price suggested it, Vice-President Glenda Chiarello organized it and worked in partnership with the Town, the Colonial Beach Artist Guild and Virginia.org. 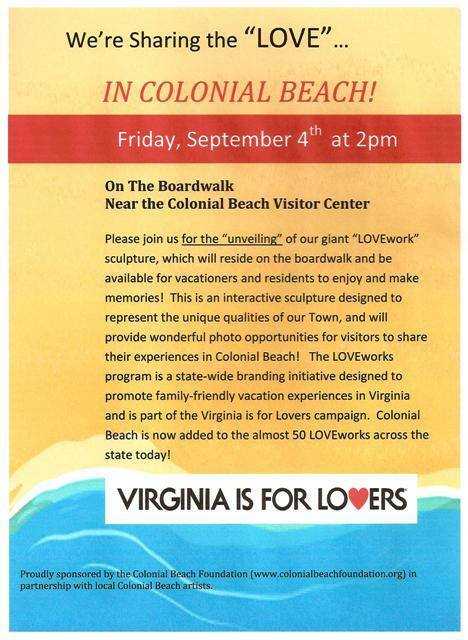 The LOVEwork sculpture will reside on the Colonial Beach Boardwalk and be available for vacationers and residents to enjoy and make memories! This is an interactive monument designed to represent the unique qualities of our Town, and will provide wonderful photo opportunities for visitors to share their experiences in Colonial Beach! The LOVEwork program is a state-wide branding initiative designed to promote family-friendly vacation experiences in Virginia and is part of the Virginia is for Lovers campaign.